SET 4 CERCHI IN LEGA JAPAN RACING JR28. 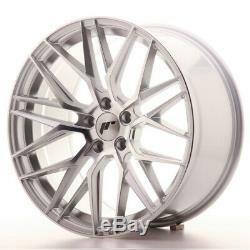 19x9,5 ET40 5x112 Silver Machine. CHIEDERE DISPONIBILITA' PRIMA DI EFFETTUARE L'ACQUISTO. I CERCHI VENGONO SPEDITI DIRETTAMENTE DALLA JAPAN RACING A VOI!! Costituisce diffamazione relativamente perseguibile ai sensi degli Art. 1, 2, 3 Codice Penale, Art. 4 e 5 LN 223/90. The item "Japan Racing JR28 19x9,5 ET40 5x112 Silver Machine SET 4 CERCHI IN LEGA 4 WHEELS" is in sale since Monday, February 11, 2019. This item is in the category "Auto e moto\ ricambi e accessori\Auto\ cerchi e pneumatici\Cerchi". The seller is "drop_it_shop" and is located in Italia.